This summer we held classes with guest instructor Lene Rasmussen of Lakeshore Willows in Wainfleet, Ontario. 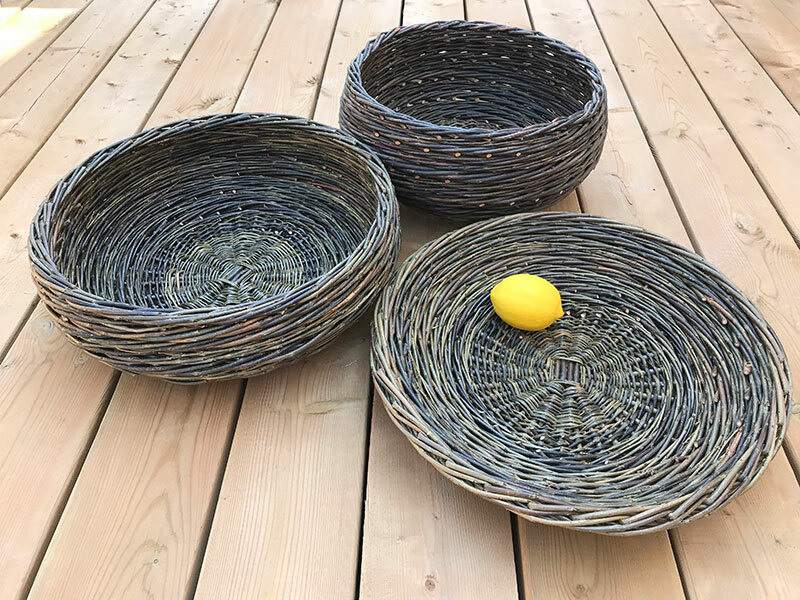 Lene, a remarkably talented weaver, is originally from Denmark and has spent many years honing her talent and learning as much as she can about willow basketry and living willow structures. We met Lene last fall and have remained friends, taking classes at her home and sharing ideas about all things willow. We had a great group of people attend, many first time weavers, who made bird feeders, garden globes and tatza baskets over the five days of classes. Christine , Lene and Jill tightening a tatza basket. Setting up for lunch on the terrace. After two days, the first group of happy bird feeder students. Time for a break...coffee, tea and goodies including our good friend's famous banana bread. Group number two, great job!